Dreamcatcher will return to the K-pop scene with a new EP on Sept. 20. “Alone in the City” is the seven-piece band’s third EP and comes after its second EP “Escape the Era” in May. “The new EP is poised to be a special gift for fans with its unique concept that is totally different from the band’s previous ‘nightmare’ series,” said an official from the act’s agency, Happy Face Entertainment. 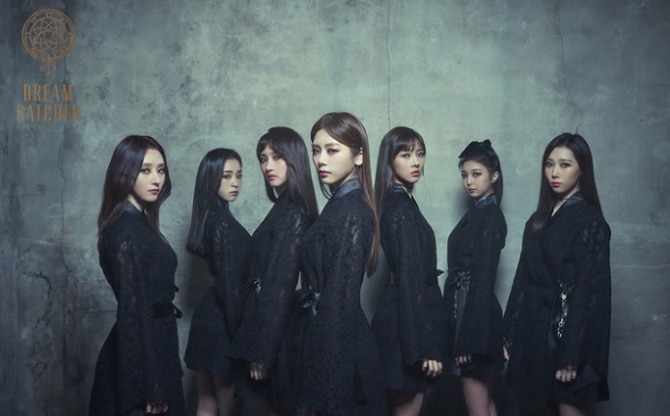 Under the dark “nightmare” concept, the group has been carving out a niche for itself with powerful metal rock sound, a rarity for K-pop girl groups, which typically prefer bubblegum pop tones. While the name may still be unfamiliar here, the act has been building a wide international following, touring across Latin America from July to August.